True enough. This whole area was under sea. But it’s complicated. The hill of Montalcino was created by the collision of European and African tectonic plates. Then the sea came inland, rising to the hill’s midway point. Uniquely, it did this multiple times, coming and going over the millennia. That left huge deposits of minerals and marine fossils, like that whale. Where water met land at about 1,000 feet, massive landslides occurred, mixing old hilltop with new marine soils. To be totally simplistic, one can think of Montalcino as a three-layer cake: The top is geologically the oldest, a nonfertile soil of stone and lime. That’s where the original Brunello producers planted—and where the terrain is best at restraining sangiovese’s natural vigor. The middle layer is a marble-cake mixture of landslide rubble, clay, and calcareous marine deposits. The bottom—where Montalcino’s newest vineyards lie—is the most alluvial. It’s also the hottest, getting downright scorching. For a site-sensitive grape, these subzones make a world of difference in flavor, structure, and alcohol. Sangiovese has been in Tuscany since Etruscan times. But Brunello begins with Clemente Santi, a pharmacist and gentleman farmer. He was the first to isolate the Brunello clone and vinify it separately. But honestly, he did so much more. Remember, agricultural practices were completely different then. Farmers were sharecroppers; they ate what they grew. So their fields were a mix of everything: vines grew up fruit trees, wheat grew in between, livestock got their timeshare. Santi was highly critical of those practices and planted Montalcino’s first proper vineyard. Having a chemistry background, he analyzed the soil and identified the best plots on his Il Greppo estate. He also let the grapes fully mature and tried longer fermentations and barrel aging—all pretty radical, upending how people thought about sangiovese. Santi published papers and won awards at agricultural fairs, including two silver medals for his “vino rosso scelto (brunello) del 1865”—the first Brunello mentioned by name. By the 1870s, he’d linked arms with Galassi, Anghirelli, and Costanti, other gentlemen farmers who banded together into the Enological Society of Montalcino. Meanwhile, a Siena commission made a breakthrough: They proved that the grapes known as brunello, sangioveto, and prugnolo gentile were all sangiovese, despite appearances. Then Clementi Santi’s grandson, Ferruccio Biondi Santi, came along. He’s considered the true father of Brunello. 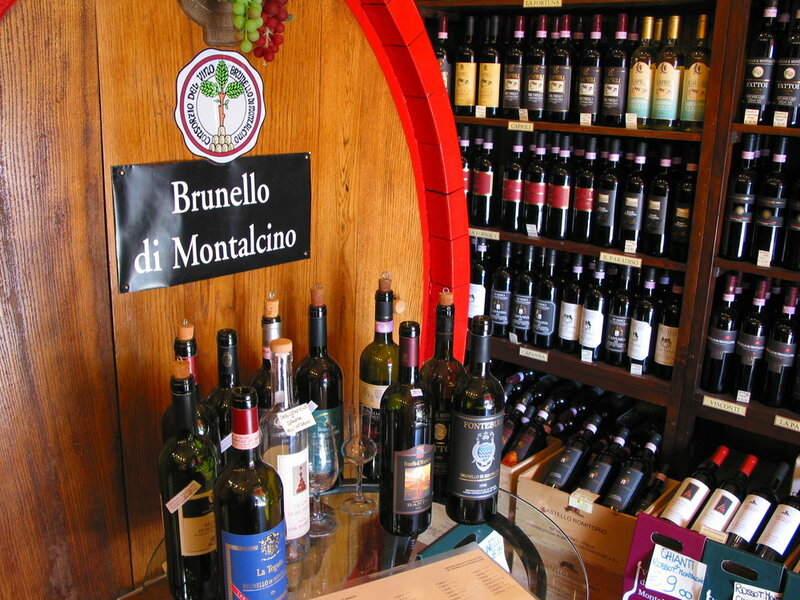 Visit some of these & other Brunello wineries with La Dolce Vita Wine Tours on these three tours: Tuscan Wine Treasures, Tuscan Trek, and Xtreme Tuscany.